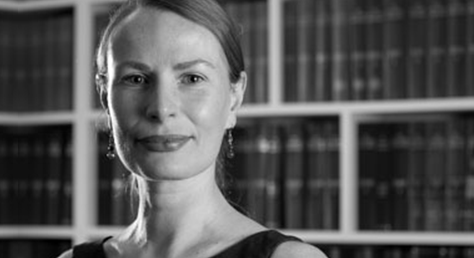 Kirsten Powrie, a solicitor in our immigration department, successfully represented a client on a claim for unlawful detention by the Home Office. The case is called XYL v Secretary of State for the Home Office. Kirsten has co-written the following note on the case together with Shu Shin Luh the barrister instructed from Garden Court Chambers. This case relates to the unlawful detention of a potential victim of trafficking (conclusive grounds decision still pending) under the Detained Asylum Casework. It was issued post-Hossain and Ors v SSHD  EWHC 1331 (Admin). The focus of the challenge is on the period of detention between when indicators of trafficking arose and an NRM referral was made and when the claimant was released. A critical issue in the claim is whether it was lawful for the Secretary of State to require a joint trafficking and asylum substantive interview before making a reasonable grounds decision. On the facts of this case, the trial judge found that there was no explanation or justification for requiring a substantive interview in this case before the making of a reasonable grounds decision. This was borne out by the minute of consideration to the positive reasonable grounds decision, which was based on the material that the Secretary of State had all along as contained in the NRM referral. There was no reason, on the facts of this case, why the positive reasonable grounds decision which was ultimately made could not have been made significantly earlier. Had it been made earlier, the Claimant would have been released earlier. The Judge found that the Claimant was unlawfully detained from the point when a positive reasonable grounds decision ought to have been made to the point at which she was released. The Judge did not accept the argument that the Claimant ought to have been released sooner than the 5 working days permitted for a reasonable grounds decision even though he found that there was no explanation as to why the decision could not have been made sooner than 5 working days. The Claimant’s argument that her detention was in breach of Article 4 ECHR and the positive obligations to identify her as a victim of trafficking promptly, to provide for her social and psychological recovery as a potential victim and to not be detained did not succeed in the light of the Court of Appeal’s judgment in Secretary of State for the Home Department v H  EWCA Civ 465. The Claimant intends to apply for permission to appeal against the aspects of the judgment relating to Article 4 ECHR and the analysis of the judge to when the false imprisonment arose. In particular, the Claimant is of the view that the positive obligation under Article 4 ECHR includes facilitating the prompt and effective identification of potential victims of trafficking by trained persons. This obligation arises as soon as there are indicators giving rise to suspicion that an individual may be a potential victim of trafficking so that an individual can be so identified via a referral to the NRM. The European Court has held that the positive obligation under Article 4 ECHR includes assisting in such individuals’ physical, psychological and social recovery. This, it is submitted, includes not depriving individuals of their liberty. This has been recently confirmed by the European Court of Human Rights at §§103-110 of the judgment of Chowdhury and Ors v Greece (App No 21884/15), handed down on 30 March 2017. The ECtHR’s interpretation of the ambit of the Article 4 ECHR obligations is in contrast with the Court of Appeal’s judgment of Secretary of State for the Home Department v H  EWCA Civ 565 finding that the positive duty under Article 4 ECHR only arises upon the making of a positive reasonable grounds decision. This raises a significant wider point of importance as to the nature and scope of Article 4 ECHR as applied in the UK which the Court of Appeal will have to resolve.